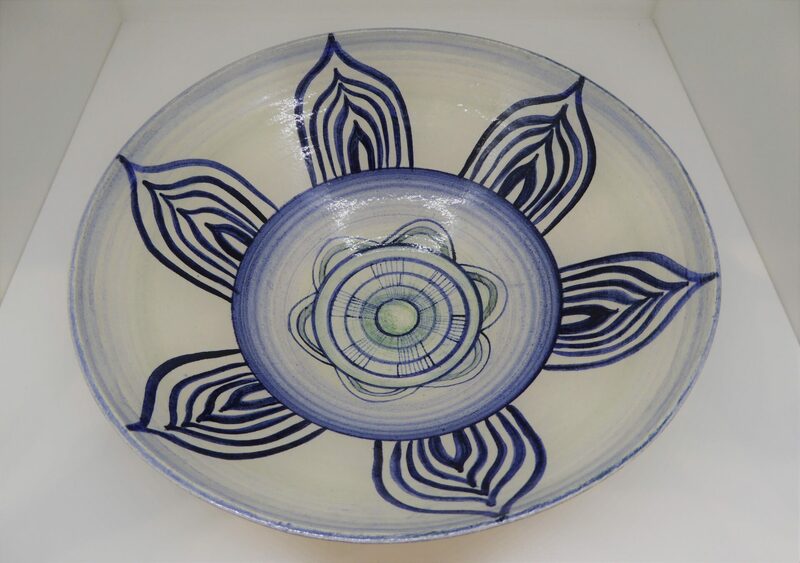 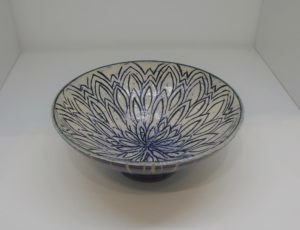 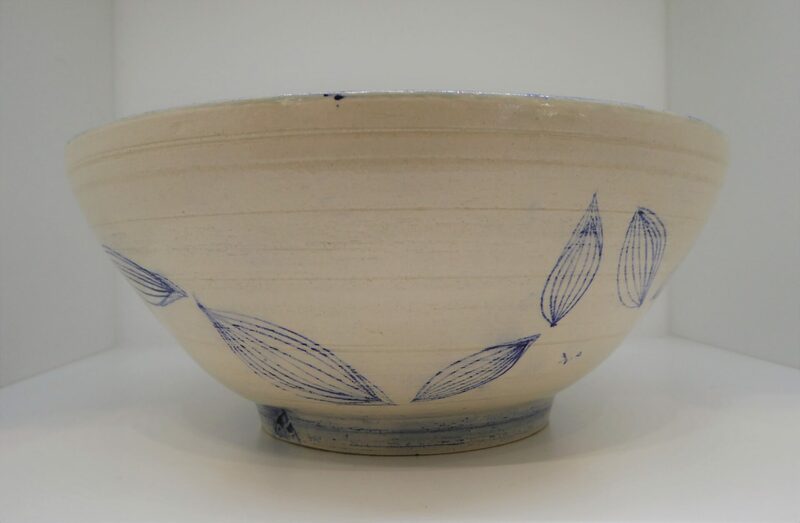 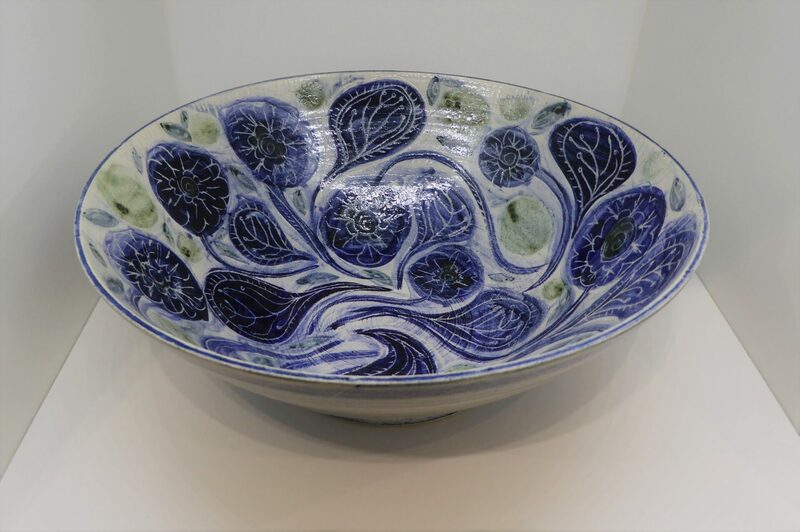 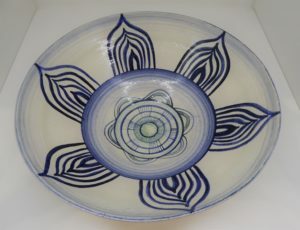 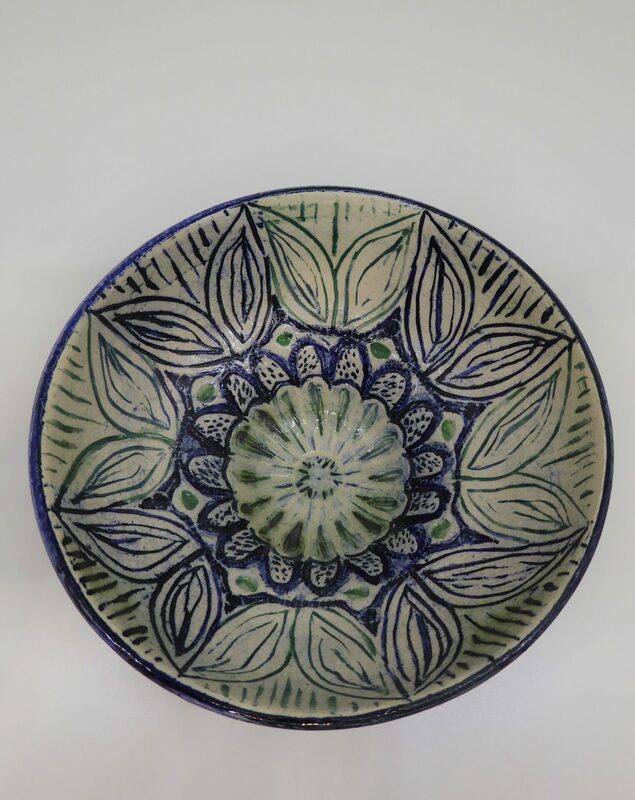 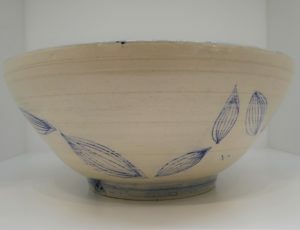 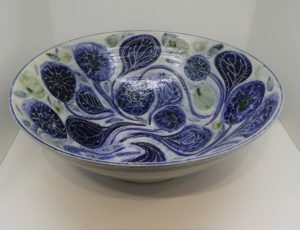 Influenced by the coast and countryside around her in West Cornwall together with a fascination of repeat patterns, Scandinavian folk art and Art Nouveau, Michelle works from her garden studio to make wheelthrown (using a Leach kick wheel) and hand built decorative pottery from local Cornish clay. 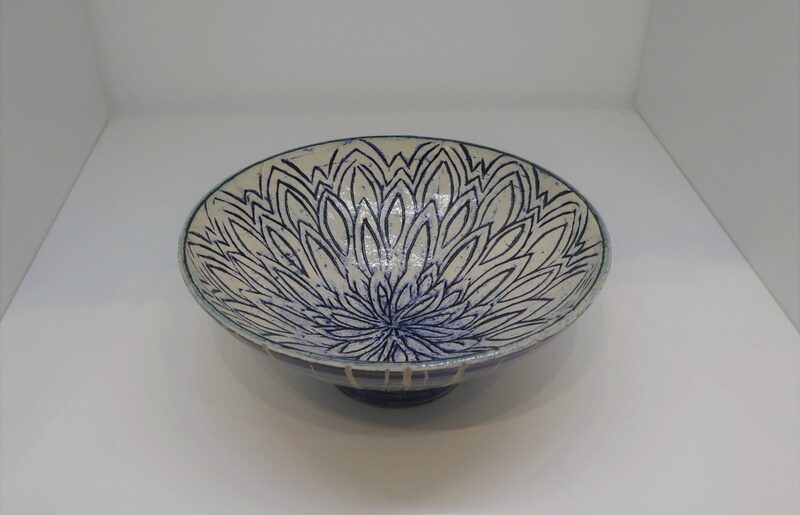 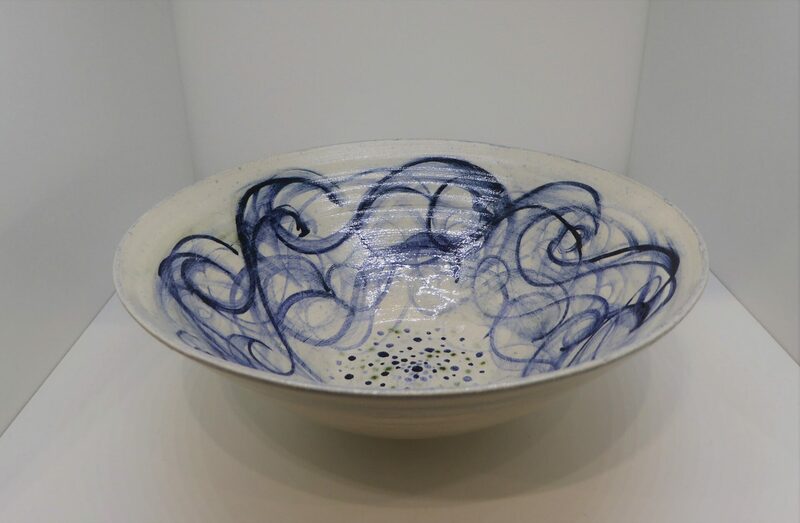 She uses a variety of decorating methods including sgraffito, inlaying, painting and stamping (using handcarved clay stamps or found items such as acorns, pebbles, plastic detritus found on local beaches or poppy heads). 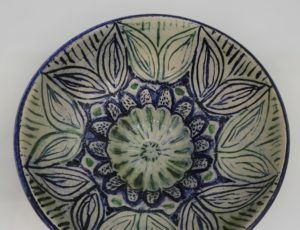 More often than not, Michelle does not have a preconceived idea of how the end result will look, rather she prefers a pattern to emerge organically as she paints and carves. 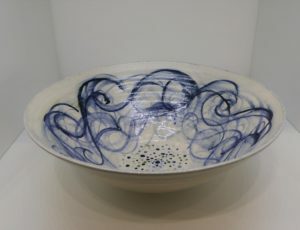 She is often drawn, however, to green and blue hues from oxides to colour her work.